To keep your home or office building looking and functioning at its best, you need a roofing contractor in Calgary with experience in standing up to the harsh weather conditions found in our corner of the world. 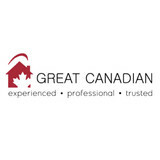 Great Canadian has been in business for more than 15 years. We're one of the largest roofing companies in Calgary, Edmonton, Saskatoon and Red Deer and we know what materials to use to keep your roof, siding, doors, and windows secure against the winter snow and summer heat. Your Trusted Contractor For Reliable Roofing, Siding, Window & Door Installation & Repair in Red Deer, AB Snap and Cracker LTD is a reliable home improvement contractor offering exceptional quality roofing, siding, window and door repair & installation services in Red Deer, AB and surrounding areas. Our professional contractors, roofers, siding, window and door experts have the years of experience and skills to provide a safe and efficient roof installation, siding repairs and other window and doors services for your home or office building anywhere in Red Deer, AB. Whether you’re looking for a brand new roof, a roof replacement or siding installation in Red Deer, AB, you can bet that we are the trusted contractors who can deliver the first rate assistance you’re counting on. 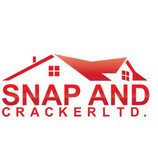 Throughout Red Deer, AB and surrounding areas, Snap and Cracker LTD home improvement contractors have earned a reputation for providing high quality roofing, siding, window and door installation, repair and replacement using the highest quality products and equipment available. After many years of service in the Olds and Central Alberta community, we feel confident that we can cater to your needs. We get the job done and we don’t just meet expectations; we exceed them. Our customers keep coming back because we’re dependable, knowledgeable and pleasant to work with. Our employees deliver top quality results for your home! Each is committed to customer respect and happiness. In keeping with this desire, we’re not satisfied with our work until you are. Aside from our amazing staff, we take the time and care to make sure even the tiniest detail is managed, in every circumstance. There, really, is no other way. With 30 Years Hands on Service, we bring to you knowledge and quality, we hold our standards very high. We believe in walking the customer through start to finish so they know exactly where their hard earned money has been put to. Over the past 16 years Thunderbird Roofing has grown on a steady basis working hard to meet customer needs with competitive prices and quality workmanship. Many of our highly skilled senior personnel, including the Owners, began their roofing careers many years before Thunderbird Roofing was even dreamed of! With the Combined years of expierience Thunderbird Roofing owner's have over 28 years expierience in the roofing industry. As Roofing Specialist's, we provide a complete service for all roofing needs; New roofs, Re-roofing, Repairs, and roof top snow removal, With the owners on the job not sub contractors!! Regardless of the size of the project, customers are treated with respect and provided with our commitment to the highest level of safety and quality on each and every project. We are comitted to complete the job to the customers requests and satisfaction. Epic Roofing & Exteriors is one of the largest roofing companies in Alberta. We have been a trusted and preferred Red Deer roofing and exteriors company for many years. Our message is simple – you can count on us to do the job right and to treat you right too. From roofing job sites to our relationships with customers, we care about the details. As a result, we’ve enjoyed many years of success and have become a roofing and exteriors industry leader. Contact us today for a free quote! Cooper Roofing has been serving residential and commercial customers for over 50 years! 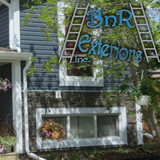 We offer professional roofing service in Central Alberta. From roofing repairs to new installations, we have the knowledge and skills to provide you with an excellent finished product. We work on asphalt shingles, metal roofs, vinyl siding, gutters and more. 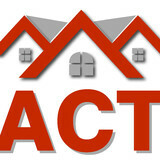 What do roofing companies in Lacombe, AB do? Your Lacombe, AB roofing contractor can install a new roof or repair an old one, as well as repair and replace gutters. Good roofers in Lacombe, AB should be able to promptly inspect roofs and gutters to assess damage after a natural disaster or other event, and give you an estimate for the necessary roof repair immediately. Some Lacombe roofing companies specialize in specific types of roofs, such as tile or metal, so make sure the one you are interested in works with the materials you have or desire. Find a Lacombe roofer on Houzz. Narrow your search in the Professionals section of the website to roofing companies in Lacombe, AB. If you’re planning a large-scale project, find other professionals on Houzz who can help get the job done. Here are some related professionals and vendors to complement the work of roofing & gutters: General Contractors, Specialty Contractors, Siding & Exteriors, Door Sales & Installation, Garage Door Sales & Installation.